Since I first discovered the scale on which other animals need help, my challenge has been to effectively change consumer choices impacting factory-farmed animals, wildlife and companion animals. All of my organizing, educating, protesting and writing for four decades focuses around this goal of reaching the mainstream public. The power of film and photography to effect change is evident. Two of the photographers changing how people view other animals are JoAnne MacArthur and Beth Lily Redwood. 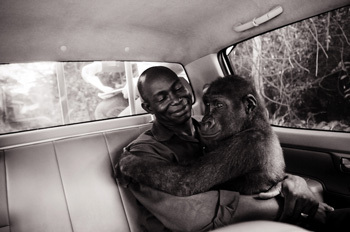 MacArthur’s award winning photograph of an infant gorilla in the lap of her hero rescuer emotes a feeling of protectiveness. 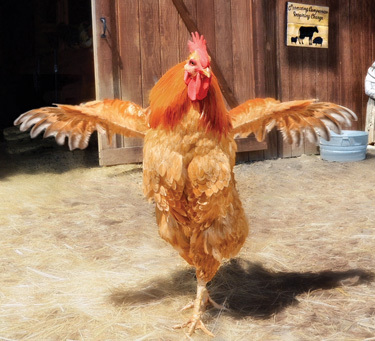 One of Redwood’s most striking photos is of a sanctuary-resident chicken, wings outstretched in a display of unlimited joy, the personality and life evidenced in the photographer’s subject’s eyes are moving and impactful. I have decided to tackle the medium of film with the Animal Hero Kids documentary to bring alive some of the courageous and compassionate stories in the “Animal Hero Kids Voices for the Voiceless” book. Filming has been ongoing thanks to the volunteer videographers from the Art Institute of Fort Lauderdale, and Imari Springer, Royce Ashcroft, Jeff Fleiss and Korin Sutton. Still a lot more filming to be done of the Animal Hero Kids kindness education presentations and the kids, and teens who are actually rescuing and advocating for other species to live free of harm. I am writing this from the airport terminal on the way to Los Angeles to speak at the largest Animal Rights Conference in the world. Miley Cyrus will be receiving an award for her activism for animals there. 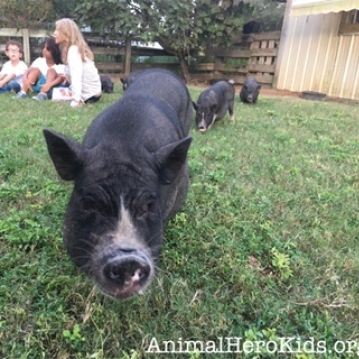 AnimalHeroKids. org young co-presidents, I will attempt to ask Miley if she will film a cameo appearance for the documentary and state her support for empowering youth to act for animals. The fact is, celebrities have huge audiences and have the largest voice to inspire their fans to consider going vegan, this type of strategy is used to the animals’ advantage and expands our resources optimally. 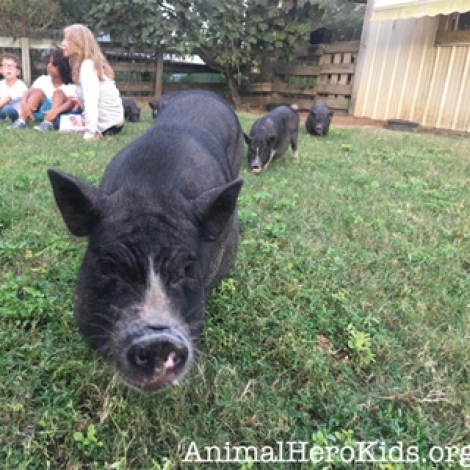 If you wish to support the Animal Hero Kids documentary please go to Animalherokids.org. We are also on the look out for volunteer video editors and videographers. Spielberg, where are you? ... or maybe you are the next Spielberg and wish to help animals? Either way the possibilities are limitless when determination is mixed with the cause; all it takes is the first step or the first frame.